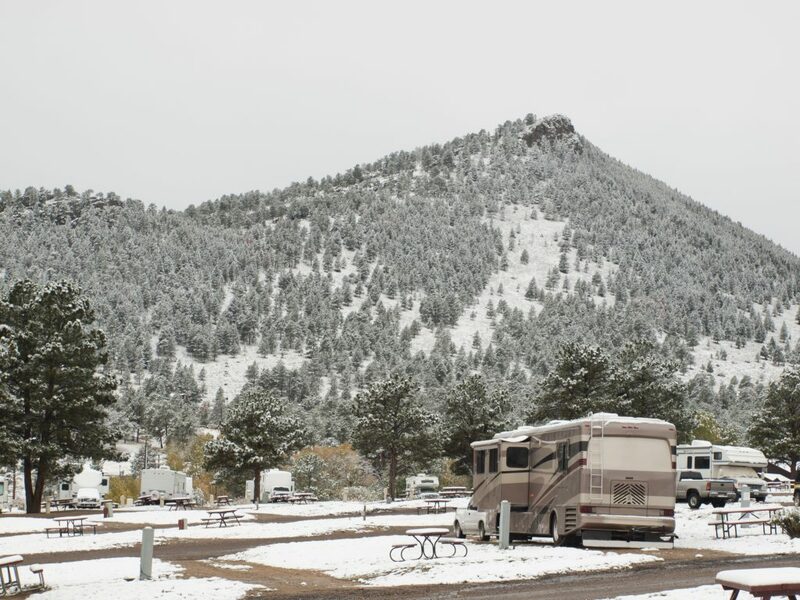 When you can camp in 80-degree weather at 4,000 feet one day, but move to a site in the snow at 10,000 feet the next day, you’re going to need an RV that can keep up with your wild Colorado adventures. All RVs are not created equally, which is why Roach said anyone looking for an RV to use in places like Colorado has to be a savvy buyer. “Be sure you know exactly what you are buying, because that great deal your Uncle Ned gets you in Texas might be your worst nightmare when you try to take it to 10,000 feet skiing or to Elk Camp and literally nothing works,” Roach said. Here’s some of his best advice before you buy an RV for adventure trips in Colorado. He’s seen other examples of these variations in cold-weather packages include things like 2-inch-thick foam walls, but the RV still has single-pane windows. 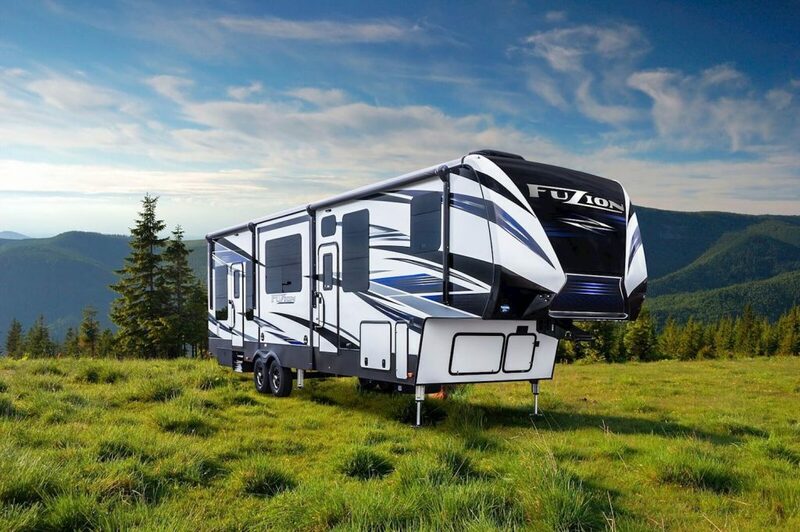 Humphrey RV orders its rigs as specifically tailored to the Colorado style of camping as possible — that means the biggest furnace, the maximum amount of A/C available and as many Enclosed Tank Valves — which prevent yucky situations from frozen tank valves — as possible. A full underbelly covering will protect the bottom of the RV from things like mice, snow, cold, magnesium chloride, etc. Roach said the very best cold weather RV is the Arctic Fox line of campers — “there’s a reason they are named after an animal that thrives in the snow,” he said. Colorado’s elevation means there’s less protection from harmful UV rays. Roach said the sun in Colorado is so brutal that it will do damage to most RV exteriors in a matter of years. Most RVs have a gelcoat, like a boat, that doesn’t hold up like automotive paint. It needs to be waxed every year or so, and you can have a local paint shop put a clear coat over the gel coat, which Roach said helps tremendously. On the plus side, the harsh and brutal sun can produce tons of solar power. That’s because the lithium phosphate batteries are the future of RVing, Roach said. They store more power, charge faster, are lighter and can cycle up to 5,000 times. And they can be drawn down to 5 percent, vs. 50 percent for a traditional battery. “It’s the last battery you will ever need for your RV,” he said. This Sponsored content is brought to you by 5Point Adventure Film Festival. 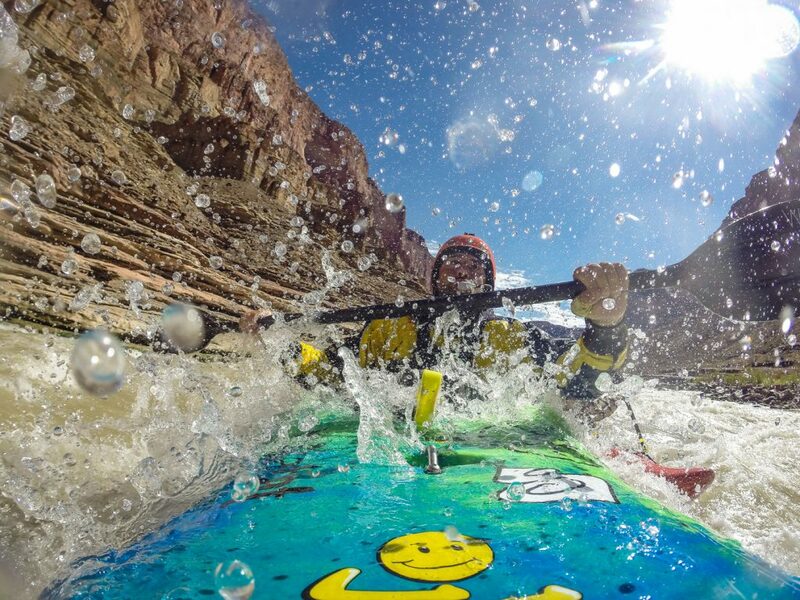 In the 5Point film “The Weight of Water,” blind adventurer Erik Weihenmayer takes on the Grand Canyon in a kayak, but this impressive physical and mental achievement is really just the backdrop for a much more remarkable human story. Transcending the outdoor genre is exactly what makes 5Point films — all of which capture and display the 5 points of purpose, respect, commitment, humility and balance — unique in the outdoor adventure film world. Other festivals may tug at viewers’ adrenaline strings, but 5Point wants its films to do that and more. Evolving from the adrenaline-pumping vibe of the festival’s early days, today’s festival connects with its audiences by showing moving stories about the human spirit and how adventure is for everyone — with a bit of action-adventure mixed in. “Whether someone is showing true grit, pure joy or overcoming an obstacle in life, it’s the people — the human story — that drives a 5Point film,” Meredith McKee, 5Point’s Program Director. Weihenmayer, who has been blind since the age of 14 due to a genetic condition, trained for six or seven years to kayak the Grand Canyon. He also was the subject of a film, “Farther Than the Eye Can See,” about his 2001 journey climbing Mt. Everest. 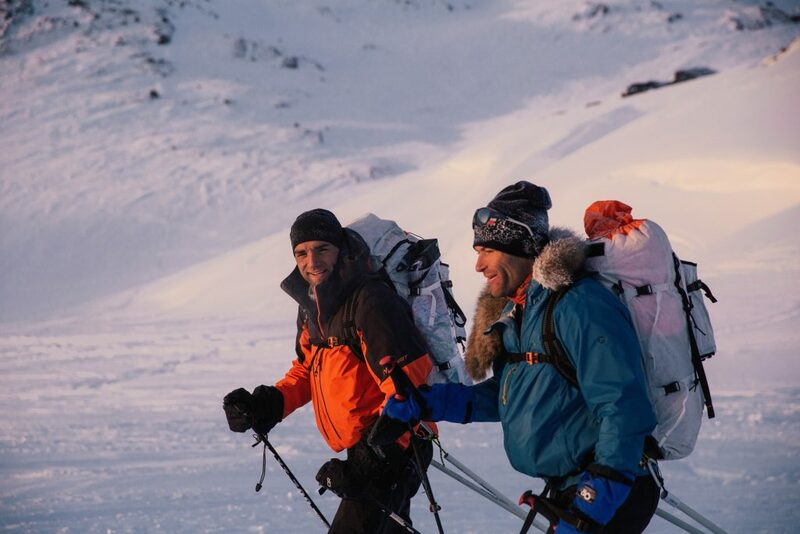 Mike Chambers and Jason Antin in “In Due Time.” In the film, these two men openly explore their thoughts on fatherhood, family and adventure — and how the proper balance between these three is necessary for their happiness. “Some people are on the fast track in life and they want to conquer a mountain really fast. I’m not really into that — I like to build up and see if you can flourish in an environment rather than just survive it,” Weihenmayer said. When asked what drives him to accomplish these harrowing feats, Weihenmayer doesn’t have a clear answer. “I can tell you why I don’t do things — I don’t do things to prove blind people can do things. That’s sort of shallow and unsustainable. The world says I can’t do something so I’m going to go do it — I don’t think that’s enough,” he said. Weihenmayer said it’s Brown’s work as the filmmaker that impressively captures the real story behind the journey. He said filmmakers often don’t get enough attention for these storytelling achievements. That’s the root of a 5Point film, Jones said — knowing that it’s going to be full of heart. From 5Point’s perspective, “adventure” is a very broad term. Brown sees Carbondale as the heart of a true mountain community that encompasses the entirety of the Roaring Fork Valley. 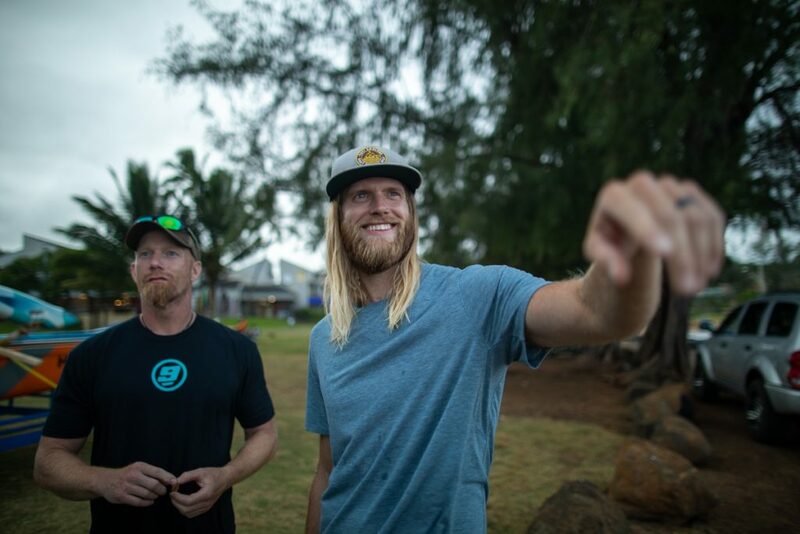 (People) of Water is the story of Rob Prechtl, a member of the U.S. Men’s Raft team, on a journey to learn the craft of outrigger paddling. There will be more than 100 special guests coming to town for this year’s festival. And in the spirit of this special mountain community, there will also be many surprises. “After many films, we will bring up the filmmakers and athletes in the films on stage to share their behind-the-scenes stories with the audience. We also look forward to moments of music played out in our films and love to surprise the audience with a live-score or song after a few films every year. When Julie Kennedy founded the 5Point Film Festival, she knew she wanted to use the festival as a means to help inspire, educate and motivate young adults in the Roaring Fork Valley. The Dream Project evolved a few years later, in 2010, but it was very much a part of Kennedy’s original vision. She wanted to create a program for youth that embodied those 5 guiding principles, or “points,” for which the festival was founded: purpose, respect, commitment, humility and balance. The Dream Project offers seven scholarships to students in the Roaring Fork Valley every year “who want to explore their personal boundaries while living their own best adventure.” The ambiguity in the project description language is part of the magic — it pushes students to think confidently and creatively. Chloe Gonzales applied for the Dream Project in 2018 because she saw that 5Point was actively trying to help students pursue their dreams and better themselves. She applied with the idea to make a film about Abasolo, Mexico, the town where her family is from. Winning the scholarship changed her understanding not only of filmmaking, but also of her family’s culture and history. Tracy Wilson has been director of the Dream Project for 5Point since 2014. In that time, she said the types of Dream Project scholarship applications received has expanded beyond projects centered around film or outdoor adventures. “We’ll consider any project — whatever the adventure is for that person,” Wilson said. Past Dream Project recipients have used their scholarship funds to do many diverse projects, from learning American Sign Language to creating a LBGTQ+ high school dance to restoring an antique car that one recipient inherited from his grandfather. Projects that include some element of giving back to supporting a community are encouraged, but not necessarily required, Wilson said. Students interested in applying should reach out to mentors to talk about their project ideas. Wilson, who is also a teacher at Colorado Rocky Mountain School in Carbondale, said she’s available to any student who needs support during the application process. If a student has a passion but isn’t sure how to turn that passion into a project, mentors can help. “Supporting youth is important to us, because that’s where you can really light a fire in terms of caring about those passions,” Wilson said. 5Point keeps the application process simple by asking students who they are, what their dream is and what they need from 5Point to get there. While students have total ownership of their projects, sometimes mentors can really help refine their visions. Will Sardinsky, a Dream Project recipient in 2013, said he completed his application in just a couple of days thanks to help and advice he received after calling a few mentors. He was really into photography at the time but had never put together a cohesive project. After becoming more aware of Thompson Divide oil and gas lease issues and feeling passionate about protecting the area, he felt he could do a project that combined these two passions. He said the application itself was relatively easy. He encourages students to apply, even if they think they don’t have enough time.